Today in this post, we want to share with you two safe and easy ways to get the latest driver for your Wacom Intuos Pro pen tablets. Go with us, install Wacom Intuos Pro driver on your Windows now. To get device drivers, the direct way is to download from its manufacturer’s website. Wacom Intuos Pro driver is no exception. Go to Wacom Support website and find the latest driver for your Intuos Pro model number. Then click DOWNLOAD to get the driver. When it completes downloading, double-click the downloaded driver file to install it on your computer. Although download the driver from Wacom official website is direct and straightforward, it’s not such easy as it shown and it can be time-consuming. If you have no time, no patience or you don’t have the computer skill to find and download the correct driver manually, follow way 2 to let Driver Easy help you then. 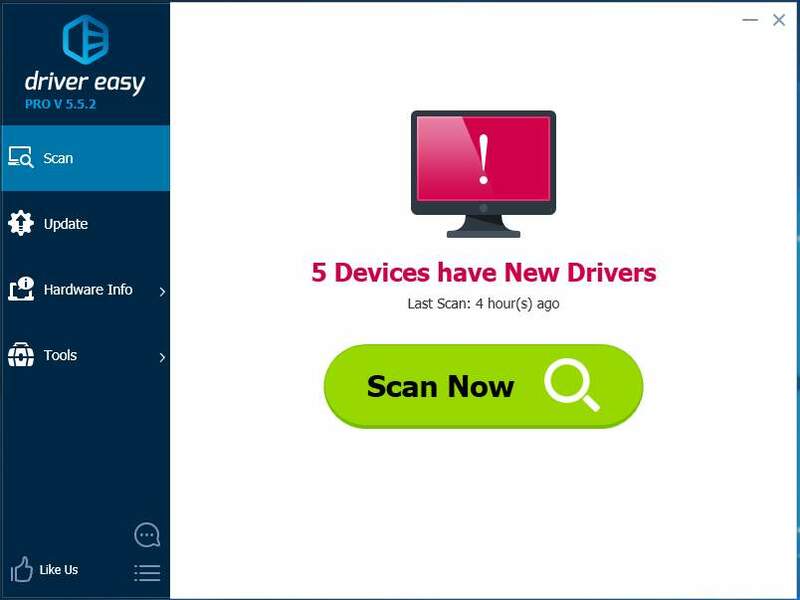 Driver Easy is a 100% safe and super helpful driver tool.It will automatically recognize your system and find the correct drivers for it. You don’t need to know exactly what system your computer is running, you don’t need to risk downloading and installing the wrong driver, and you don’t need to worry about making a mistake when installing. With its help, you can say goodbye to driver headache and delays forever. 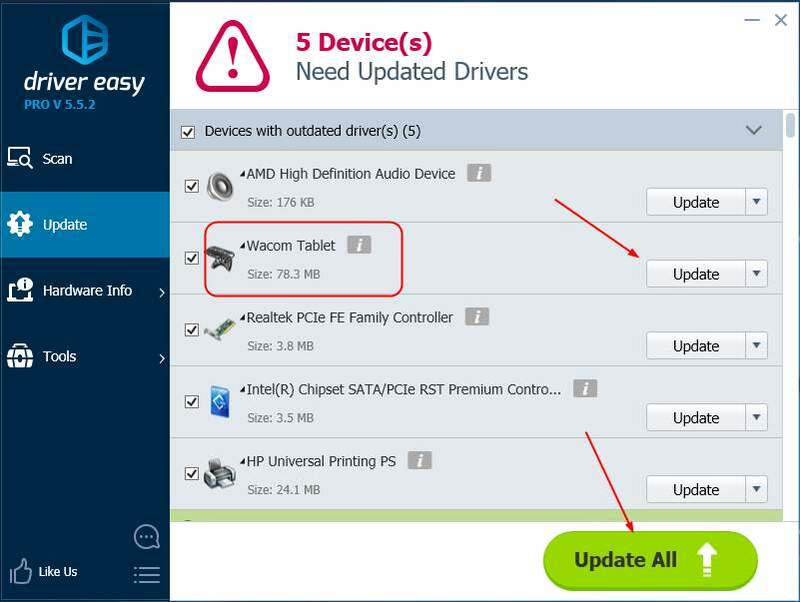 With Free version: Click the Update button next to a flagged Wacom tablet driver to automatically download and install the correct version of this driver. That’s all there is to it. Hope it does help you. For any questions, please feel free to leave your comment below to let us know, thanks.